"Given that the gifts are from government revenue and that it takes $100m of taxable spending to make $7m of government revenue, the estimated $50m that Indianapolis will pay directly or sacrifice in taxes will require more than $700m in taxable sales impact to replace. Since the impact is never more than a $20-30m in taxable sales, this is a big loser." Here are some excerpts about the financial impact of the Super Bowl from a 2006 Wall Street Journal article, republished by the Sports Economist. The full WSJ article is available by subscription only. “The NFL says $300 million, but I’d say it’s closer to $50 million,” says Allen Sanderson, a University of Chicago economist. ...Tell that (Super Bowls generate “tremendous value” to host cities – PM) to Phil Porter, a University of South Florida economist who has looked at the economic impact of six Super Bowls. He found that Miami-area hotel rates and occupancy levels increased only 4.4% for Super Bowl XXIX compared with the same period in the prior and following years. Similarly, he found that Super Bowl XXXIII, also in Miami, had no more than a $37 million impact on the South Florida economy. Economists Robert Baade of Lake Forest College and Victor Matheson of Williams College pegged it at $21 million to $32 million, about one-tenth of the NFL’s claims. … But the key figure, Prof. Porter and others argue, is taxes collected, not taxable sales. With a 7% tax rate, the gross economic impact of Super Bowl XXXIX comes to about $3 million. Factor in that it costs about $15 million in infrastructure improvements, security, overtime for police, fire and EMS personnel, and the economists claim that hosting the Super Bowl actually cost Jacksonville about $12 million. ... “Most economic impact studies implicitly assume the hotel occupancy would have been zero without the event,” says University of Texas economists Craig Depken and Dennis Wilson, who looked at the 2004 Super Bowl in Houston. “They swipe the credit card in Detroit, but that’s about all Detroit will see of that money,” says Prof. Porter. Furthermore, he argues that higher hotel rates and occupancy have more of an impact on hotel investors in Riyadh than on taxpayers in Detroit. Professional sports teams and stadiums are amenities, not money makers. The notion is, "Move to Indianapolis, home of the Colts, the Pacers, and Lucas Oil Stadium! It's a great place to live/have your business!" To me they should have invested our money in infrastructure, e.g. mass transit, a much better amenity. "Move to Indianapolis where you can put your car in the garage and never have to use it!" Agreed. It is not necessarily about the immediate revenue generated during super bowl week, but rather the long term impact that our city being in the spotlight can have on our local economy over time. I don't view the expense to revenue comparison as money lost. I instead view it as an investment in advertising and publicity for our city. Good article and I understand their point, but I think they're a little short-sighted in terms of truly analyzing the impact that the super bowl can have on the host city. And of course the people associated with the NFL, the ones directdly benefitting from the game, pay no taxes because they get special exemptions. If they don't get physically abusive with you, they will certainly give you an earful. You see, it's an ongoing problem with potential clients who think they don't need to pay you for a gig because of 'the long term impact that being in the spotlight can have' on your career. In lieu of payment, can you please accept having your name positioned below the photo? Thousands of potential clients will see it. Some may realize you are a patsy who works for free just so your name can appear in 8pt type in a national publication. Ooh, publicity. How nice. Can't pay the mortgage, buy groceries or a tank of gas with publicity. I don't much by that. Can people even name the last few Super Bowl sites? Okay, Dallas was the last one. I remember it because it was such a disaster. But if you go back more than a few years, people don't even remember the locale of the Super Bowl. The famous multiplier effect that politicians, establishment media, and rent-seeking boosters promote is almost always a hoax. The "long-term impact" of hosting a Superbowl is too small to measure. Taxes shouldn't be spent on elusive and illusionary future benefits, they should be spent on clearly defined capital projects and operational expenditures. Anything else is mischief, if not outright theft. Try to tell country residents with wells and septic tanks about the glories of alleged future impacts. The massive Superbowl waste is on top of the huge wealth transfer from taxpayers to those few who benefit from the stadium. Sports socialism is the gift that keeps on giving: to a tiny group of people who make out like bandits. Just like bandits. 1. 7% tax rate is an oversimplification and only looks at the base sales tax rate for the state of Indiana. Marion County also has additional taxes of 9% on hotel rooms, 4% on car rentals, and 2% on restaurants, which hits all the major points for visitor spending. I would assume average tax on total visitor spending is closer to 10%. 2. The visibility argument for Super Bowls is substantially greater for a small market like Indianapolis. Nobody remembers where recent Super Bowls were because (a) they generally happen in major tourist markets and (b) they generally happen in the SAME major tourist markets (significantly New Orleans and Miami). Those places already have major brand identity so they aren't as incrementally affected by hosting a Super Bowl as Indianapolis will be. I think most people remember that Detroit hosted a Super Bowl because there was novelty in that. Same will happen with Indianapolis, particularly if we're able to turn out a great product. 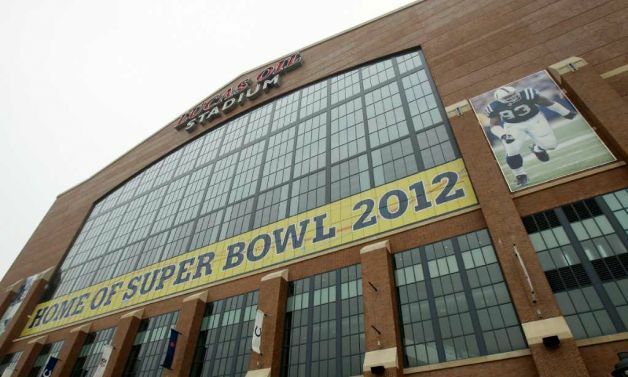 With the price of the hotel, Indianapolis cannot be a Big Loser Financially From Hosting Super Bowl.....I will be in the stadium to live the Super Bowl XLVI in 2012!!! It was my Christmas gift!!! I booked my hotel with http://2020Hotels.com and http://www.FinalsHotels.com, phone 917-224-1231. I was lucky last year, they upgraded me to the HILTON HOTEL 2 minutes from the stadium! They offer Luxury Lodging and affordable accommodations for ALL EVENTS.